With a castle-styled inflatable bounce house, party planners can add details like crowns or magic wands for guests. Decorative buntings or streamers can add a festive appearance to the party environment, and young guests should be encouraged to wear their favorite prince or princess attire to complete the theme. Independence Day celebrations are often the highlight of the summer season. From small neighborhood get-togethers to huge outdoor events, July 4th parties are incredibly popular. Youngsters attending such events need activities to stave off boredom while they wait for nighttime to fall and the fireworks show to begin. What better way to both occupy children and to keep them cool than by adding a patriotic-themed inflatable water slide or slip ‘n slide to the event? One of the leading commercial-grade inflatable manufacturers produces a model that combines both an inflatable water slide and a long slip and slide unit into one stunning package. This model is decorated with red, white, and blue vinyl fabric to give it that festive Independence Day appearance. Wet and wild thrills await event attendees! Children love to run, jump, and climb. For outdoor festivals or family gatherings, an interactive inflatable that incorporates these activities is sure to be a hit. Several models of commercial-grade interactive inflatables are available. These are sometimes referred to as inflatable obstacle courses. Models may include climbing walls, bounce house areas, slides, and inflatable obstacle courses for head-to-head or solo competition – whoever reaches the end first could win a special prize! The possibilities are endless, and each type of inflatable offers many hours of entertainment for young partygoers. 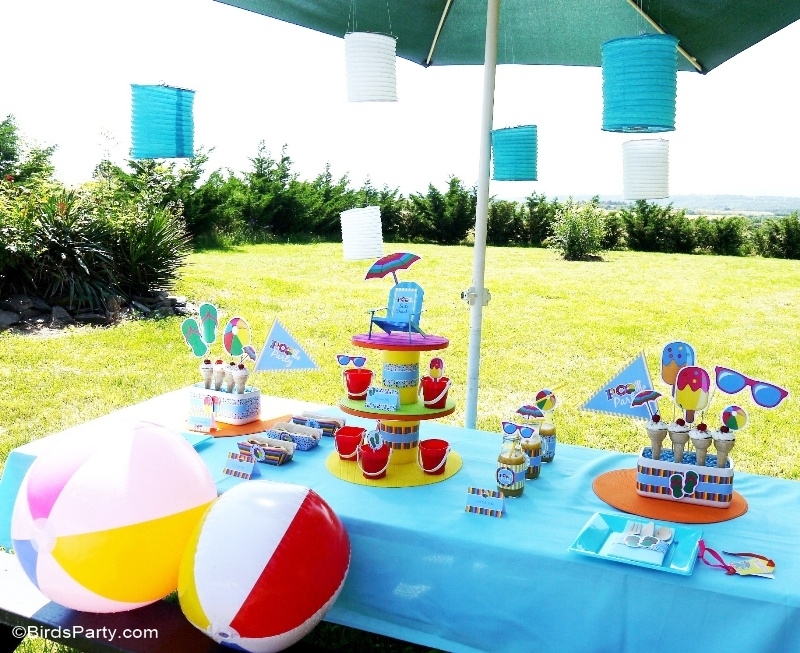 With these ideas, it is easier than ever to host a memorable summertime event. The right mix of friends, family, and activities makes summertime the perfect time to celebrate. From simple backyard birthday parties to sprawling outdoor festivals, inflatable products can provide endless hours of enjoyment for attendees of all ages.